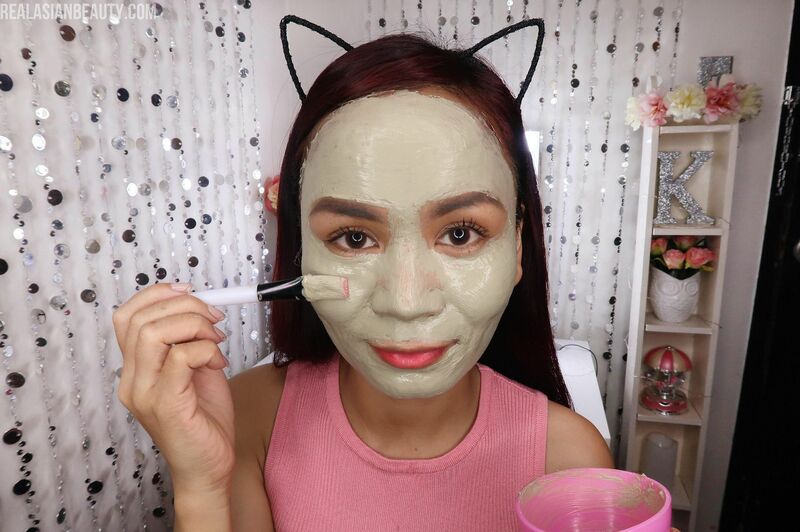 Real Asian Beauty: AZTEC INDIAN HEALING CLAY Mask (Review + Tutorial) IS IT REALLY EFFECTIVE?! 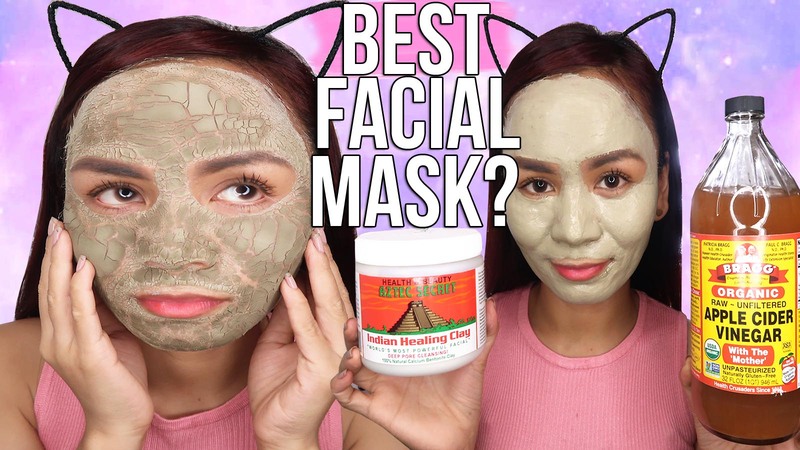 AZTEC INDIAN HEALING CLAY Mask (Review + Tutorial) IS IT REALLY EFFECTIVE?! 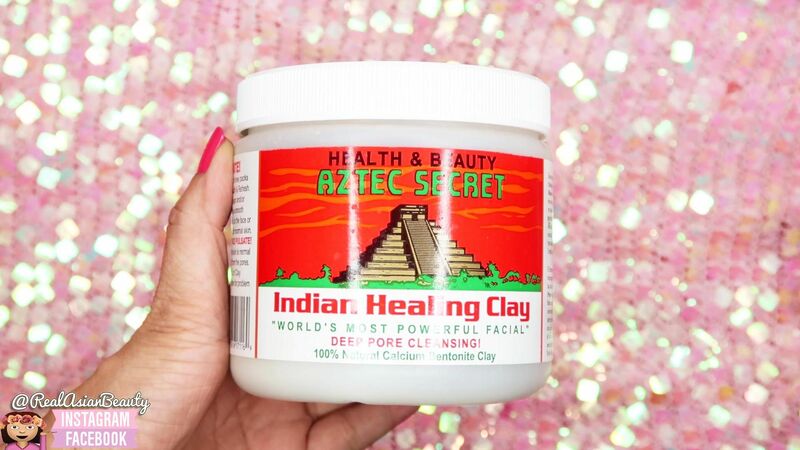 One of the most hyped products on the internet nowadays, especially by beauty bloggers, is the Aztec Secret Indian Healing Clay! But is it really effective? The brand claims it is "The World's Most Powerful Facial". 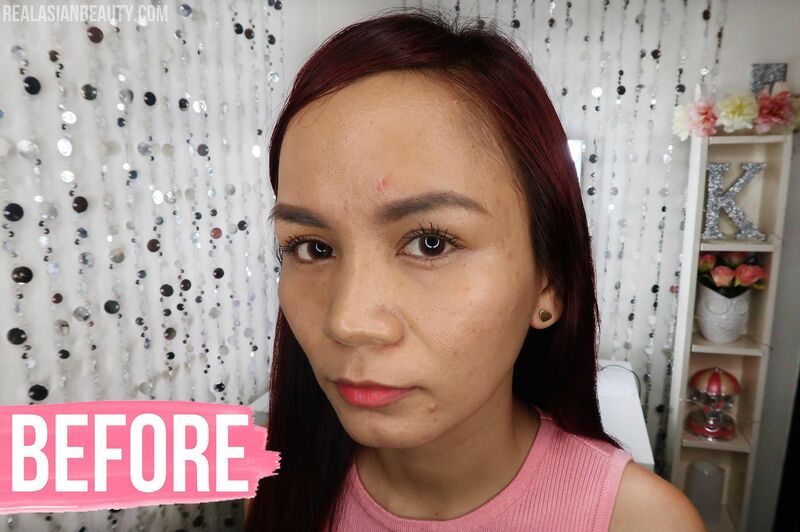 I took it to test and tried it on my oily, sensitive and acne-prone skin and you won't believe what the result is! 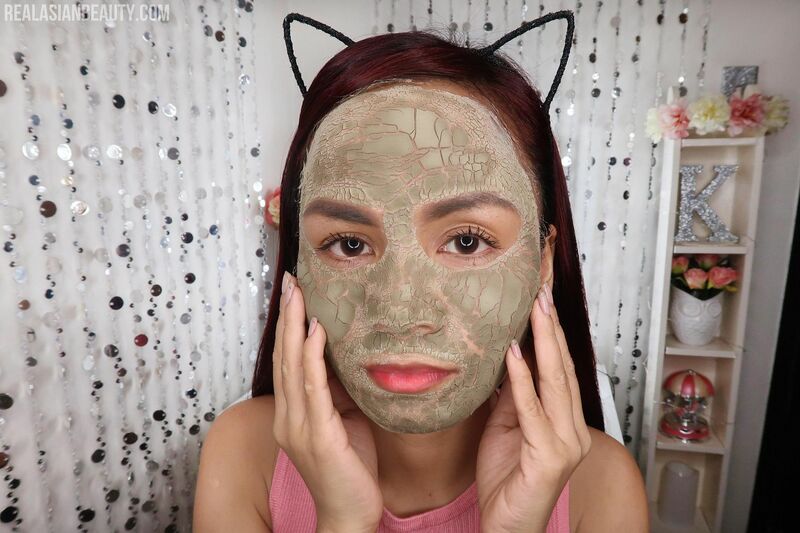 What makes this mask special is that it is deep pore cleansing because of it's 100% natural calcium bentonite clay content. The brand claims it is the world's most powerful facial (mask). The main ingredient is the Indian Healing Clay (powder). I did my research and found out that it comes from the Death Valley, California where it is sun-dried for up to six months in temperatures that sometimes reach 134 degrees. It could be used for facials, acne, body wraps, clay bath, foot soak, knee pack and insect bites. 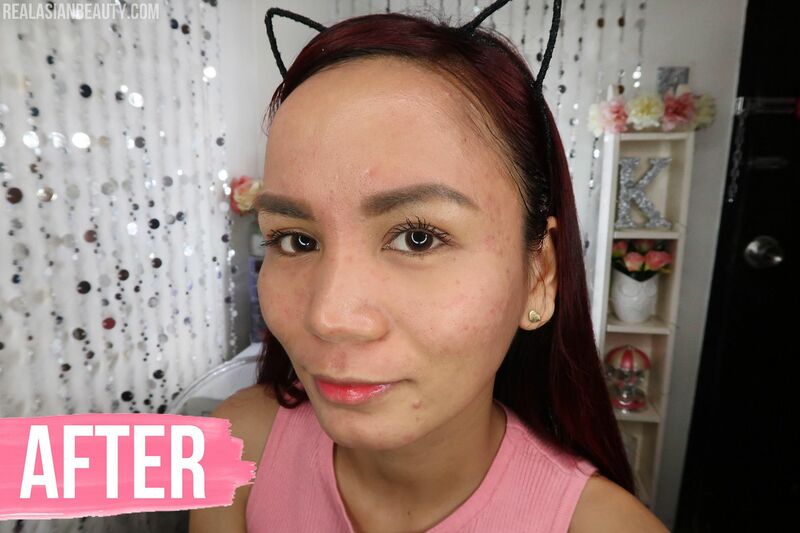 JUST HOW BAD WAS MY ACNE?! Here's how my face looked in 2012. If you haven't read about it yet, check out my full acne story HERE. Forward to 2018, my face has somehow improved for I have overcome the puss and intense acne breakout. However, I still get a couple of spots and I still battle with oily skin and acne spots.  HEALTHY OPTIONS - If you are reading from the Philippines, you could but it from any local Healthy Options branch. However, the problem with this is that the clay is so popular that they run out of it fast. Useful tip for you is to visit a Healthy Options that is less crowded like at the upscale malls. iHERB - This is where I got mine. The beauty in ordering here is that you could order even if you are from the Philippines or a reader outside the Philippines. Out of the other online shops that have this, this site sells it the lowest. But unlike most Philippine-based online shops, iherb offers free shipping but you'd have to wait for over a month for it. If you want your item to be delivered in just a few days, you'd have to pay for Php 200 to Php 700 shipping fee. My tip is to order total worth of items Php 2,000 ($40) and up. AMAZON - If you are from anywhere else than the Philippines, great news! You can get this at Amazon! They are often in stock and also perfect if you are from the US since it won't cost a fortune for the shipping fee. CALYXTA - Another local (Philippines) online shop that sells it is this. Though they sell it for Php 650, it is still better than settling for unguaranteed know-offs. The catch, though is that they are also often out of stock of it. LAZADA / SHOPEE - This would be your LAST OPTION as I am not convinced the ones they sell are authentic. If you really, really want to try it then go purchase from their shops. But if you could wait until a nearby Healthy Options restock it, then it would be much better! The price depends where you're getting it from. I got mine for Php 420 from iHerb but I had to buy a total of Php 2,000 worth of other items to avail the Php 200 shipping fee. If not, I would have spent only Php 420 for the actual item but pay Php 700 for the shipping fee. Other online shops sell it from Php 550 up to Php 950. Amazon offers it for $9 up to $12 per jar. 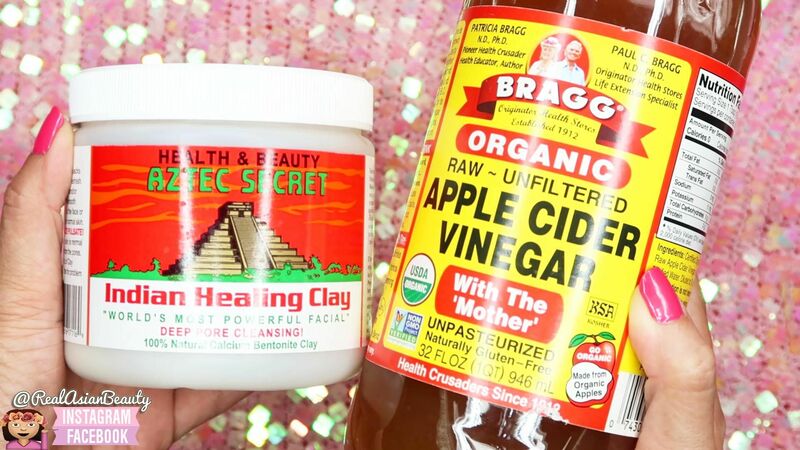 Another important ingredient of the Healing Clay Mask is Apple Cider Vinegar. It is also one of the most popular products these days as this claim to help the body and gives a lot of health (and beauty) benefits. On the label of the Clay, it states it should be mixed with equal part of raw apple cider vinegar. However, if you can not stand the smell of it or if you are allergic to it, you can simply use water to mix with your clay. Apple Cider Vinegar in the brand Bragg's is also available at Healthy Options and other online stores. What's good is that it is also now available at local groceries in the Philippines such as SM. So, this is my skin BEFORE using the Aztec Healing Clay Mask. Note that I used the mask for a total of 3 times before I did the video and wrote this review. If you notice, although my skin doesn't have the intense acne it used to have, I still have couple of active spots and my deep acne scars are still visible. If we remove the light I used in this photo, you would have seen that my face is oily, bumpy yet dry, wrinkly and flaky. Yes, it is still bad. Mix clay with equal parts of raw apple cider vinegar or water. Use non-metal bowl and utensil. Stir the mixture well to a smooth paste. Add more if necessary. Apply about 1/8 inch to the face or area where you need it. Let it dry for 5-10 mins. for delicate skin and 15-20 minutes for normal skin. 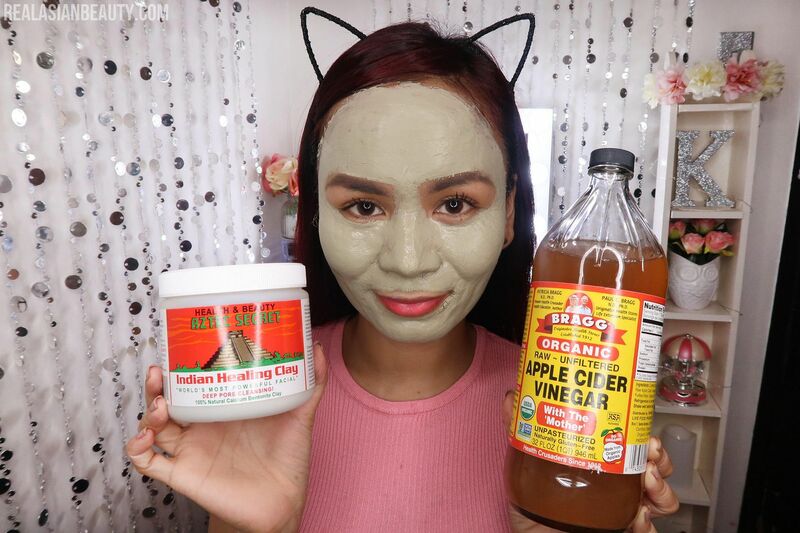 For first timers, the feeling of tightening caused by the clay and the powerful smell of the apple cider vinegar may be too much, But once you've applied it, you will feel your skin tighten and you will feel your face pulsate! If you apply enough amount and leave it on to dry, it will look like the photo below. One of the most satisfying thing ever is removing this mask! It feels itchy when you have it on and you may feel a bit uncomfortable with it. To be honest, each time I have it on, I always just bear with it and look forward to removing it. 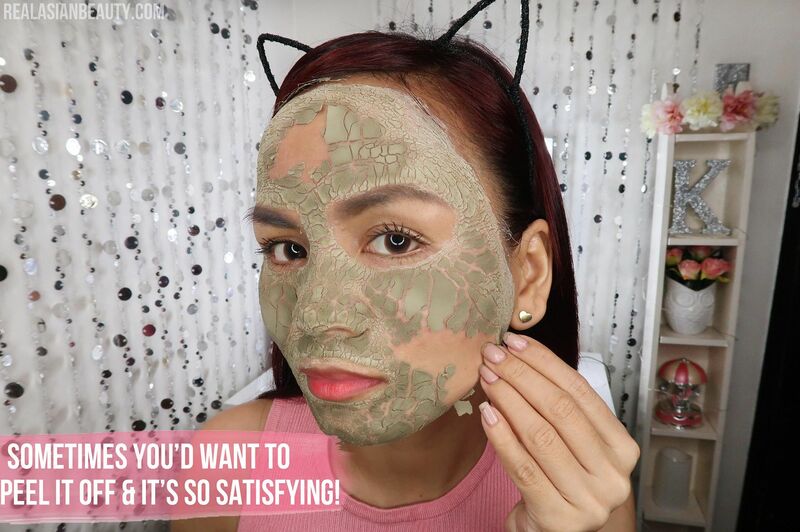 Once it dries, it's also satisfying to peel off the dry flakes as you will see and feel portions of your skin looking and feeling clean and smooth. You can remove it by simply using warm water. It's also a bit of a challenge to remove as it is sticky and thick. What I do to remove it is I use a facial wash so it's easier to get rid of. When you remove the mask, you may notice slight redness of the skin. It is normal and will disappear in about 30 minutes. 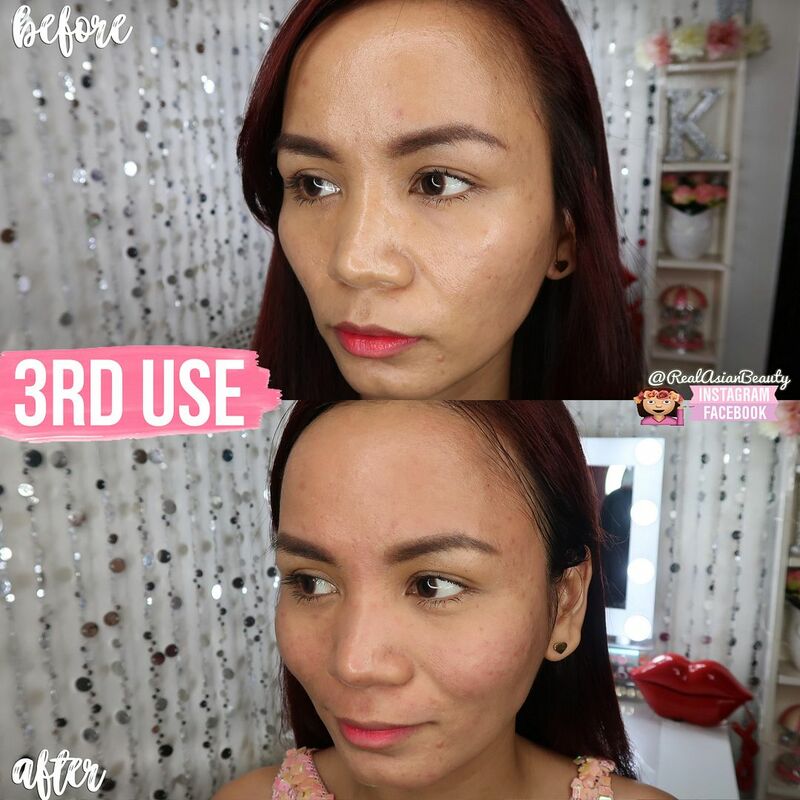 What you will feel after is that the skin is visibly lighter and glowy. It also feels clean and fresh as impurities and oil have been cleansed out! Although, I haven't noticed any powers of it on blackheads and active pimples, it does it's job in deep cleansing the skin. Here's how my skin look one the first time trying the mask. After 3 days, I tried it for the second time. After another 3 days, I used it for the 3rd time and here's the result. 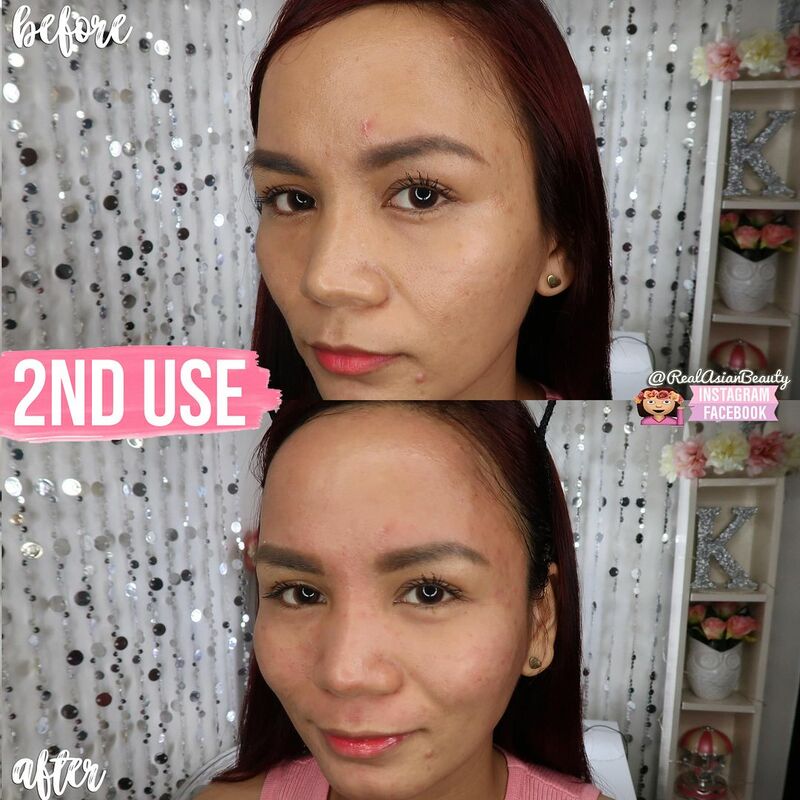 What I noticed is that, though it didn't do anything to combat my pimples, it did a great job lessening the oiliness of my skin and making my skin look tighter. 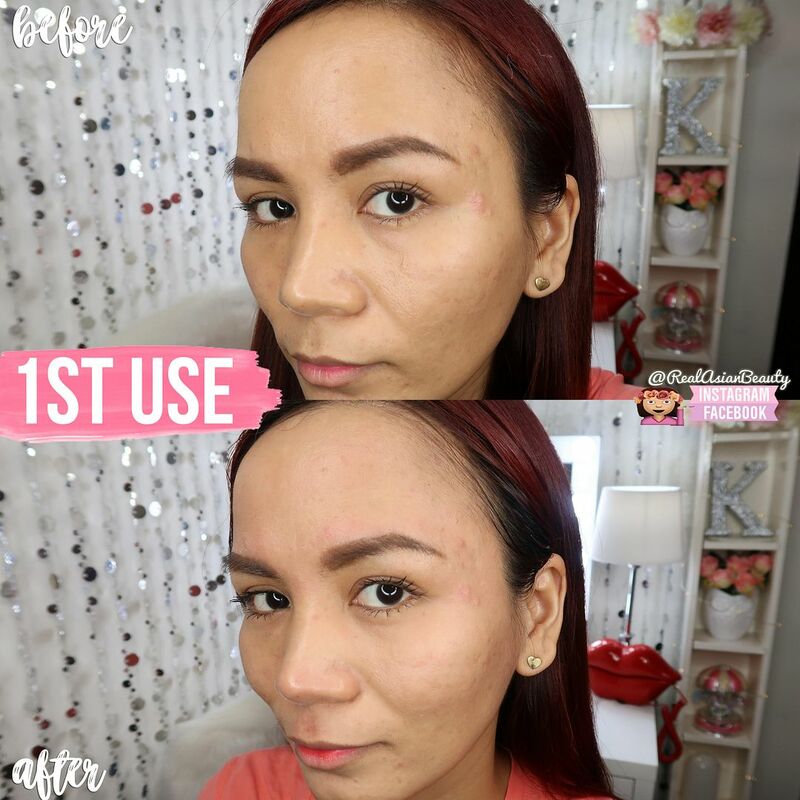 If you have flaws on your skin, the trick is to make it appear tighter so flaws and scars become less visible. It visibly reduces appearance of pores after using it. It makes skin smoother and clearer by eliminating oil and dirt. You can use this clay jar for up to 20 times, depending on how much you use per preparation. Skin feels itchy while you have it on. Healing Clay Mask is always out of stock, you have to get it online. It doesn't heal active pimples. It could be messy to prepare, apply and remove. The effect is only temporary so you'd have to use it over and over. It's not something that helps the skin from the inside. Overall, I'd say this is a nice product to try. What's good about it is that it could be use by many people so you could share with family and friends. There's not much to rant about this clay mask as it really is good. The only thing I have to note is the fact that on their packaging, they claim that it is the "World's Most Powerful Facial", I'd say it is good and effective while you use it but I reckon this is NOT the best the world has to offer.